Successful launch August 14, 2017 at 1231:37 EDT/1631 UTC on Falcon 9 on new booster (1039) from LC-39A. RTLS landing successful. Initial orbit targeting 200x360km. Media accreditation is open for launch of the next SpaceX commercial cargo resupply services mission to the International Space Station, currently targeted for August. The uncrewed Dragon cargo spacecraft will launch on a Falcon 9 rocket from Launch Complex 39A at NASA’s Kennedy Space Center in Florida. •International media without U.S. citizenship must apply by 4:30 p.m. on Tuesday, July 25. •U.S. media must apply by 4:30 p.m. Friday, July 28. For questions about accreditation, send email to [email protected] For other questions, or additional information, contact Kennedy’s newsroom at 321-867-2468. This is SpaceX’s twelfth mission under NASA’s Commercial Resupply Services contract. In addition to supplies and equipment, Dragon will deliver several science investigations to the space station, including building on the success of the Cosmic Ray Energetics And Mass (CREAM) balloon flights. The instrument has been transformed for accommodation on the International Space Station. The goal is to extend the energy reach of direct measurements of cosmic rays to the highest energy possible to probe their origin, acceleration and propagation. The International Space Station is a convergence of science, technology and human innovation that demonstrates new technologies and makes research breakthroughs not possible on Earth. The space station has been occupied continuously since November 2000. In that time, more than 200 people and a variety of international and commercial spacecraft have visited the orbiting laboratory. The space station remains the springboard to NASA's next great leap in exploration, including future missions to Mars. ELaNA XXII (22) will fly on this mission too. Mission: SpaceX-12 – Falcon 9 FT, Cape Canaveral Air Force Station, Fla.
ASTERIA – Massachusetts Institute of Technology, Cambridge, Mass. RBLE – NASA Goddard Space Flight Center, Greenbelt, Md. LAICE – University of Illinois at Urbana-Champaign, Urbana, Ill.
HARP – University of Maryland, Baltimore County, Baltimore, Md. OSIRUS-3U – Pennsylvania State University, University Park, Pa. The launch date isn't updated but that is not uncommon. We'll probably hear more about this during the pre-launch conferences. Social media users are invited to register to attend the launch of the SpaceX Falcon 9 rocket carrying the Dragon cargo spacecraft from Launch Complex 39A at NASA’s Kennedy Space Center in Florida. This launch, targeted for August, will be the next commercial cargo resupply services mission to the International Space Station. If your passion is to communicate and engage the world via social media, then this is the event for you! Seize the opportunity to be on the front line to blog, tweet or Instagram everything about SpaceX’s twelfth mission to the space station. In addition to supplies and equipment, Dragon will deliver several science investigations to the station. A maximum of 40 social media users will be selected to attend this two-day event, and will be given access similar to news media. NASA Social registration for the CRS-12 launch opens on this page on July 13 and the deadline to apply is July 18. All social applications will be considered on a case-by-case basis. OPAL has moved to ELaNa XXIII. 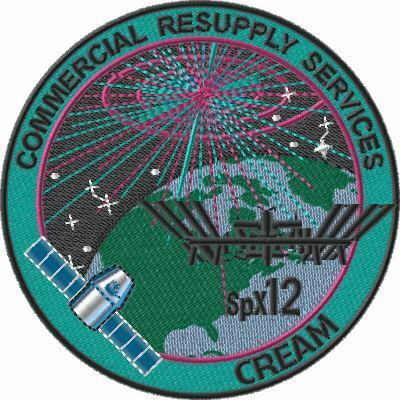 Per L2 KSC scheduling, CRS-12 now NET August 14. No reason (isn't the pad, etc. Could be to give TDRS-M - set to slip - a window, but there's no official reason, so I'll shut up and just note the CRS-12 slip). Currently Aug. 9 for the Falcon 9 (CRS-12) Static Fire (39A), but tagged "requesting" as the Range waits for TDRS-M launch (SLC-41) status. Same goes for the current launch date "requesting". When it goes to "Approved" I'll add a note. Scimemi’s slide on upcoming SpX-12 states that it will be the last to use “new build” Dragon; rest of CRS missions will be reused capsules. 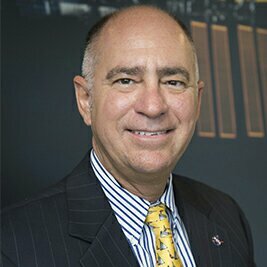 Scimemi is Sam Scimemi, NASA's Director for the International Space Station. Moved back up a day to August 13 via L2 Range Updates. Likely to help TDRS-M which has moved up two days from it's previous slip. Static Fire's moved up a day too. Now on the 8th. So only a week until SpaceXeyness again. NASA will host a media teleconference at noon EDT Tuesday, Aug. 8, to discuss select science investigations launching on the next SpaceX commercial resupply flight to the International Space Station. SpaceX is targeting no earlier than Sunday, Aug. 13 for the launch of its Dragon spacecraft on a Falcon 9 rocket from Launch Complex 39A at NASA’s Kennedy Space Center in Florida. •Marco Baptista, director of Research and Grants for the Michael J. Fox Foundation, and lead investigator Sebastian Mathea of the University of Oxford, England, will discuss Crystallization of LRRK2 Under Microgravity Conditions. The investigation, sponsored by the Center for the Advancement of Science in Space (CASIS), could help scientists better understand the pathology of Parkinson’s and aid in the development of therapies. •Joan Nichols, professor of internal medicine and infectious diseases, and associate director of the Galveston National Laboratory at the University of Texas Medical Branch in Galveston, will discuss the Effect of Microgravity on Stem Cell Mediated Recellularization (Lung Tissue). The experiment uses the microgravity environment of space to test strategies for growing new lung tissue, and assists Earth-based efforts to develop complex bioengineered tissue that can be used to repair damaged organs or reduce organ rejection. •Eun-Suk Seo, principal investigator for the Cosmic-Ray Energetics and Mass investigation (CREAM) at the University of Maryland, College Park. This investigation will involve placing a balloon-borne instrument aboard the International Space Station to measure the charges of cosmic rays over a period of three years. •Michael Delp, principal investigator for Rodent Research-9 at Florida State University, Tallahassee. The research team will evaluate the physiological changes in mice that occur during a long-duration spaceflight mission in order to improve understanding about how vision loss and joint changes occur in astronauts after long stays in space. •Wheeler "Chip" Hardy, Kestrel Eye program manager with the U.S. Army Space and Missile Defense Command (SMDC)/Army Forces Strategic Command. NanoRacks-SMDC-Kestrel Eye is a microsatellite carrying an optical imaging system payload to validate the concept of using microsatellites in low-Earth orbit to support critical operations. To participate in the teleconference, media must contact Tabatha Thompson at 202-358-1100 or [email protected] by 9 a.m. Tuesday, Aug. 8, for dial-in information. SpaceX’s Dragon spacecraft will carry crew supplies, scientific research and hardware to the orbiting laboratory to support the Expedition 52 and 53 crews for the 12th mission by SpaceX under NASA’s Commercial Resupply Services contract. Static Fire moved to NET Wednesday. REDSTONE ARSENAL, Alabama -- One U.S. Army Space and Missile Defense Command/Army Forces Strategic Command team is preparing for an out of this world product launch. The USASMDC/ARSTRAT Technical Center's Kestrel Eye is a small, low-cost, visible-imagery satellite designed to provide images rapidly to the tactical-level ground Warfighter. Kestrel Eye is scheduled to be launched to the International Space Station as a payload aboard the SpaceX Falcon 9 from Cape Canaveral, Florida, in mid-August as part of the ISS cargo resupply mission, SpaceX CRS-12. "This is exciting; we have been waiting a long time," said Wheeler "Chip" Hardy, Kestrel Eye program manager, SMDC Tech Center's Space and Strategic Systems Directorate. "The program began around 2008, and this will be our first flight. This is very important and for the program to go forward, we need to have a successful demonstration. We are confident and have worked hard to ensure it will be successful." The Kestrel Eye program hopes to demonstrate the military utility of providing rapid situational awareness directly to Army brigade combat teams. Kestrel Eye will enhance situational awareness of the brigade combat teams by providing satellite imagery without the need for conventional continental U.S.-based relays. Once aboard the ISS, the crew will extract Kestrel Eye from the cargo capsule and deploy the small satellite to its orbit. Once deployed a safe distance away from the ISS, the satellite will power up automatically and be ready to receive signals from the ground station. Once on-orbit, U.S. Pacific Command will be able to measure the utility of Kestrel Eye through a series of tactical exercises and in various scenarios such that an independent assessor can make a military utility evaluation. In addition, the satellite will participate in similar Army exercises in various locations. If the Kestrel Eye demonstration is successful, then transition plans will be fully developed. "We will get to demonstrate what we can do for the Soldier on the ground," Hardy said. "That is what Kestrel Eye is about. Its purpose is to get information down to the Warfighter as rapidly as possible. Kestrel Eye's focus will be to get its information down to the lowest levels and support the troops in the foxholes. "A benefit of having a constellation of Kestrel Eye satellites is that Warfighters have access to rapid information," Hardy said. "Kestrel Eye does not provide the high-quality images from larger assets but it makes up for it with quantity and turnaround speed." Hardy said Kestrel Eye will be another tool to provide situational awareness data before starting an operation so that if conditions on the battlefield have changed Soldiers can adjust before the operation begins. "A big advantage is the enemy never knows when it is overhead," Hardy said. "In comparison to other systems, foes won't be able to adjust what they are doing because they will never know when Kestrel Eye is in the area." A key characteristics of Kestrel Eye is a microsatellite technology demonstrator weighing approximately 50 kg that is an electro-optical imaging satellite with tactically useful resolution. Kestrel Eye is considered a low-cost satellite, with a cost of less than $2 million per spacecraft in production mode, and will have an operational life of greater than one year in low earth orbit. It is designed to be tactically responsive, with the ability to task and receive data from the satellite during an overhead pass and provide a measure of satellite persistence overhead that can provide situational awareness and images rapidly to the Warfighter. "For the first time, the Warfighters on the battlefield will be able to request and have timely access to critical imaging information at the unit level," said Melinda Still, chief, SMDC Tech Center Space Division. "This demonstration will be a validation of the vision for the utilization of small satellite payloads to provide persistent situational awareness for the Warfighter." The satellite will help Army forces possess capabilities and be prepared to fight across multiple domains. Kestrel Eye is designed to continue American supremacy as rivals innovate and leverage technology. If successful, a Kestrel Eye satellite constellation would provide dramatically lower unit cost than typical space-based assets. With this low cost, large numbers of satellites can be procured enabling the system to be dedicated to the tactical Warfighter. "The Kestrel Eye team is outstanding. They have addressed program issues head on, adjusted and persevered. We are so proud of our team," Still said. "We are very excited. This is a first in many ways: the first launch in fiscal year 2017; first launch to and deployment from the ISS; and first asset utilizing technology developed and tested in-house in SMDC's labs using the Kestrel Eye Ground Station and Kestrel Eye Warfighter Assisting Low-Earth Orbit Tracker." There are only 3 cubes on this mission. The Michael J. Fox Foundation is sending an experiment to the ISS National Lab to investigate the LRRK2 protein, a key target in identifying the makeup of Parkinson's disease.